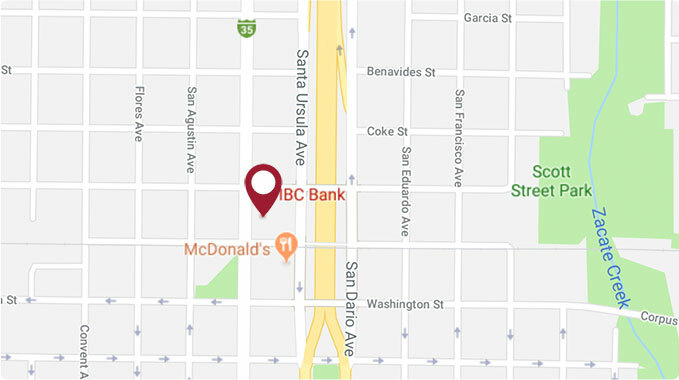 IBC Bank's Flour Bluff Branch is a member of International Bancshares Corporation (NASDAQ: IBOC), a more than $11.8 billion multi-bank financial holding company headquartered in Laredo, Texas, with over 185 facilities, more than 285 ATMs serving about 89 communities in Texas and Oklahoma. In 2016, IBC celebrated its 50th anniversary since opening its doors for business in 1966. IBC Bank's slogan We Do More reflects the bank's dedication to the growth and success of both the customers and the communities it serves. International Bancshares was ranked 22nd on Forbes' prestigious list of 100 Best Banks in America in 2019. IBC Bank Corpus Christi has been serving the Coastal Bend community since 1995 and has a retail branch network of nine locations.IBC Bank- Corpus Christi was recognized by the Texas Association of School Boards' "Stand Up for Texas Public Schools" Advocacy Campaign & CCISD appreciates and proudly recognizes IBC Bank, at the state level, for Doing More!